Exquisite and unnerving; unsettling and otherworldly, these two major artists cast their shared experiences and traditional roots in a contemporary light. 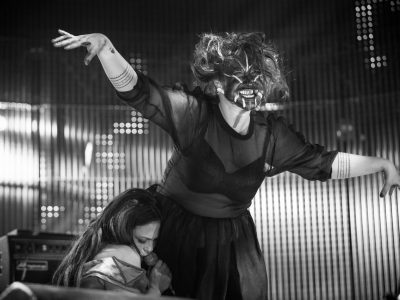 Polaris Prize-winning Inuit vocalist Tanya Tagaq and trailblazing Greenlandic mask dancer Laakkuluk Williamson Bathory combine tour-de-force vocals with expressive and unabashedly physical performances into a powerful whole that expresses the spectrum of humanity. 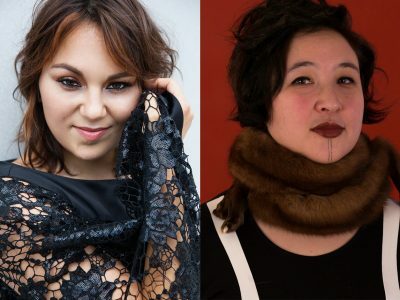 Together, these groundbreaking Canadian performers delve into the darkness and emerge into the light as they reclaim Indigenous women’s stories on a journey across themes of retribution and reconciliation. "Tagaq projects sounds that carry the imprint of the body’s secret contours and recesses, delving far beyond personal utterance, out beyond human identity, to summon voices from the flesh cavity haunts of animal spirits and primal energies. "